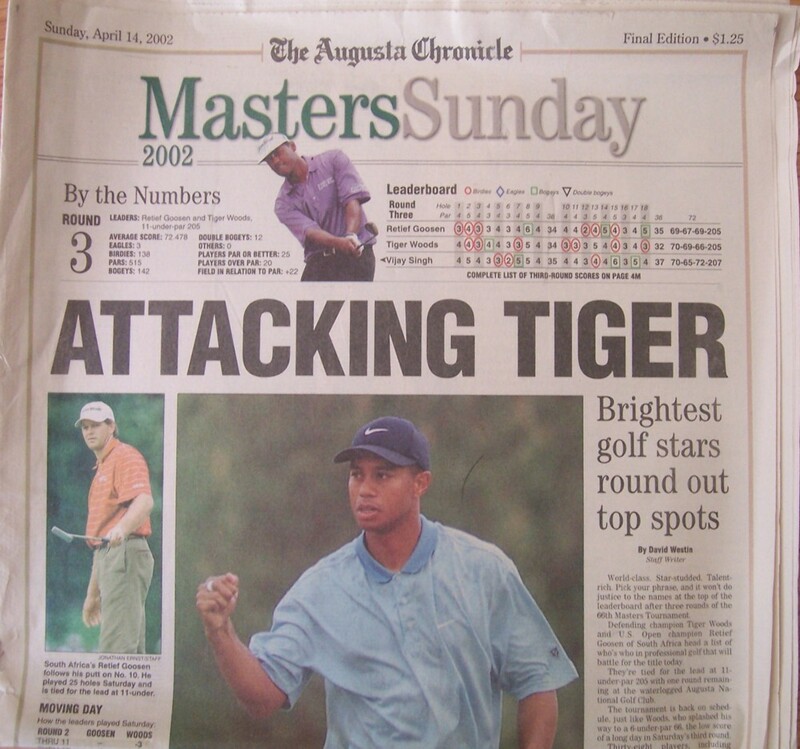 Original Augusta Chronicle April 14, 2002 Masters Sunday newspaper section featuring co-leader and eventual winner Tiger Woods on the front. 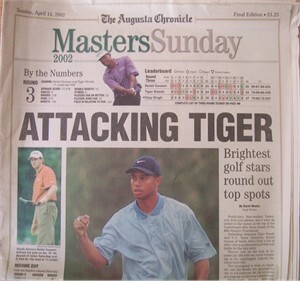 Has slight yellowing plus minor to moderate flaws and wear. ONLY ONE AVAILABLE FOR SALE.